At Great Southern Escapes we are committed to providing quality nature based experiences showcasing the Gippsland region's spectacular coastal scenery, abundant wildlife and a vibrant food and wine experience. Offering hotel pick up and return in the Melbourne CBD our small group tours are designed to provide you with a truly local and authentic experience. We want to share experiences you might not find yourself, places you may have heard of but never visited. On our Gippsland day tours, we want you to see how special Gippsland really is. 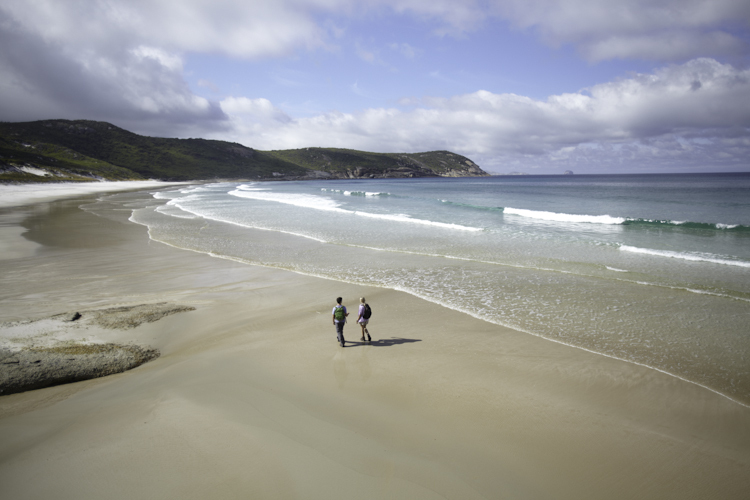 Whether it’s the first time you draw breath at the top of Mt Oberon or your first encounter with a wild emu, we want you to get to know the extraordinary wilderness of Wilson’s Promontory National Park. The simple pleasure of being outdoors can be found here, come and take in the absolute and wild beauty of The Prom with us. Gippsland is a natural food bowl, full of fresh ingredients and just-picked experiences. We like to work with businesses that connect food, farmers and local producers, creating journey’s to share with our visitors through Gippsland’s abundant table. The Gippsland wine trail is a secret pleasure, and we invite you to come and share it with us, as we introduce you to a range of quality wines, brews and cheeses that you’ll find hard to source elsewhere. We travel together in a Mercedes Sprinter mini-coach in group sizes of ten or less. We want to be able to adopt nature’s pace along the way.